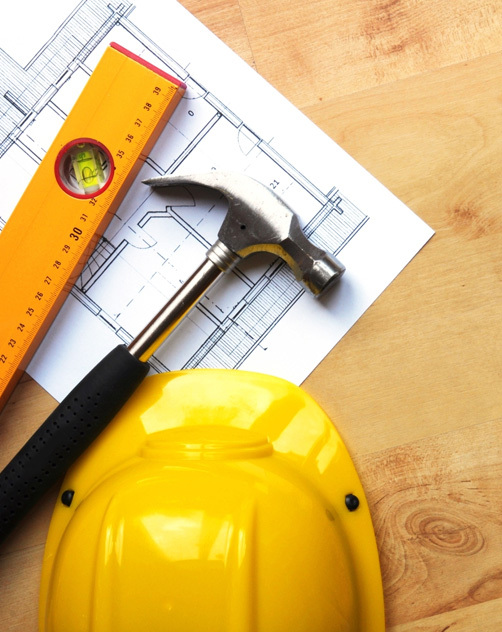 Whether you are considering a new home or remodeling your existing home, Franek Incorporated will exceed your expectations with lifestyle- friendly designs, quality craftsmanship and uncompromising customer service. Franek Incorporated specializes in new construction as well as renovations, additions, and remodeling. We are experts in what we do and our employees are always eager to take on that next big project. Franek prides itself on delivering our services on time and on schedule. We offer the most competitive prices in the industry. Franek guarantees to exceed your expectations. We use the latest techniques and materials which produce the best look for each individual project. No matter which style, price range or neighborhood you choose, Franek Incorporated goes above and beyond your expectations to finish the project you’ll want to come home to- now and the future! Take a look at some of our decorative cultured stone and concrete work to get a feel for what we offer to raise the value of your home and life. 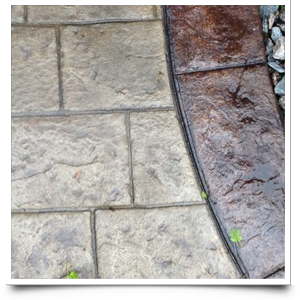 We offer a wide variety of concrete products including: stamped and color concrete, concrete patios, driveways and more. We can customize any patio to work with the space you have and even match a color that accents the color and landscaping of your home. We use only the best products on the market which guarantees top notch results. 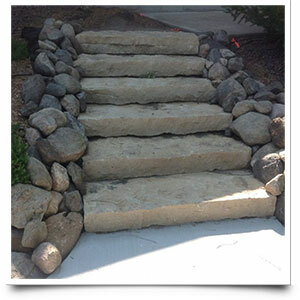 Concrete and cultured decorative stone adds value and a creative feel to your home. 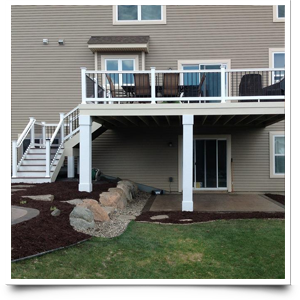 Franek Incorporated believes that a well-designed deck should be both beautiful and functional. 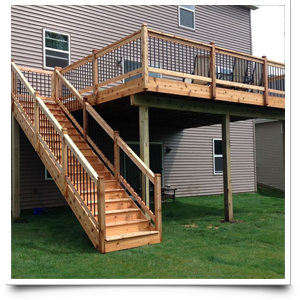 While we can build virtually any deck that you can imagine, it is also necessary to consider what is going to be most functional for your needs and the space you have. We are a full service contractor that understands structural beauty, and we build with pride and great craftsmanship. An efficient design usually makes the most of what your space has to offer. A more simple design will allow you to save money and use it on upgrades if you choose..
Cedar is a relatively inexpensive, beautiful and outdoor friendly material, especially when maintained properly. We also offer Maintenance Free Decking which is a man-made surface that is durable, beautiful and maintenance-free. We offer this in numerous colors and designs.